· Automobile steering hose, brake hose, air-conditioner hose, fuel pipe, cooling water pipe, radiator hose, heater hose, air filter hose, turbo, Booster system hose. · Other pipes or end fittings, heat exchanger, air conditioner, filter, etc. · Fully automatic operation controlled by PC+PLC, higher pressure control precision, excellent pressure maintaining and automatic pressure compensating. · Single or multiple samples can be tested independently; testing data and curves can be recorded and saved in your computer. 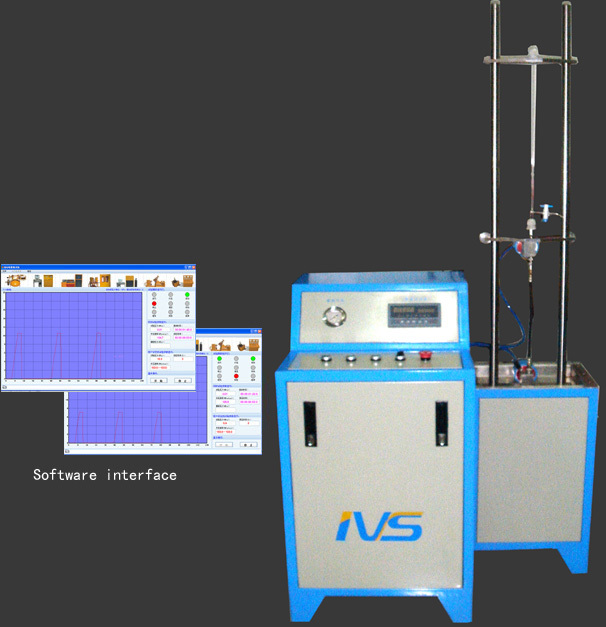 · IVS-Test Software is programmable, Stable and reliable. Pressure-Time curves and other testing data can be displayed at real time, and be printed as well. · Automatic pressure compensation system reduced the working time of motor and pressurizing section, enhanced the stability, life time and pressure precision. · Automatically stops testing when a rupture occurs, prevent the operators and equipment from damages to the utmost. · Manual control, SCM/PLC + computer control for your choice as per the specific requirements. · Various of fixtures can be designed as per customers’ specific requirements. · Installing distance adjusted freely as per hoses’ minimum bend radius and test standards. · PC precisely records the testing data, and automatically stops against damaged specimen for unmanned occasions. · Test time can be set freely, and Automatically stops after finish the test. · Automatic alarms and terminates the test against over-load, overtime and leakage. 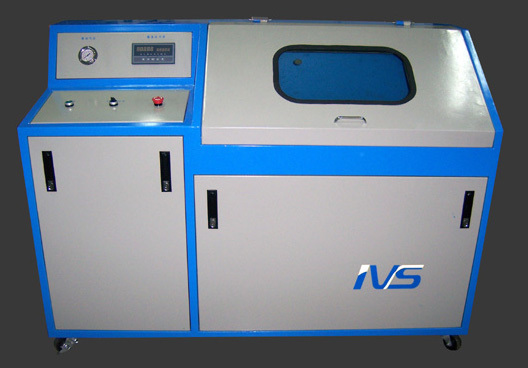 · Widely used in product inspection and R&D by hose manufacturers, supervision and examination station of product quality, labs of institutes, etc. · Fully automatic operation controlled by PC+PLC, high speed data acquisition supports real time display of pressure-time curves, pressure values and dwell time, etc. · Testing results can be saved and printed out for further analysis. · High testing precision and data acquisition, and easy to read.